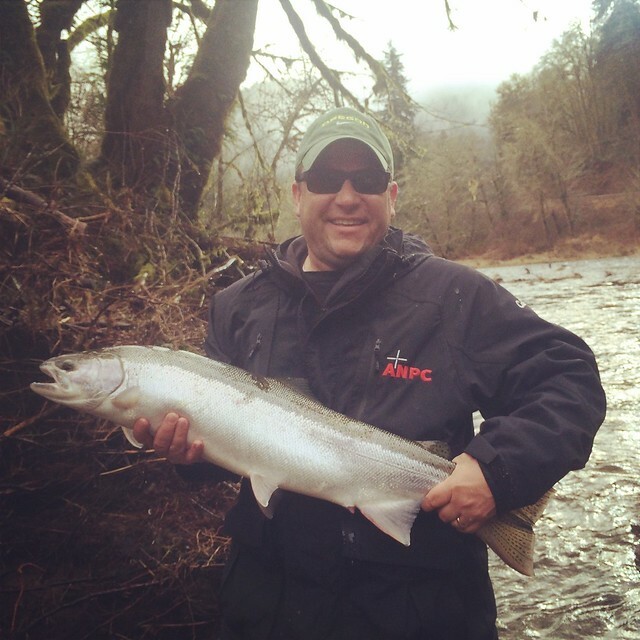 2015 Oregon Winter Steelhead Report: The Winter Run is Going Strong! 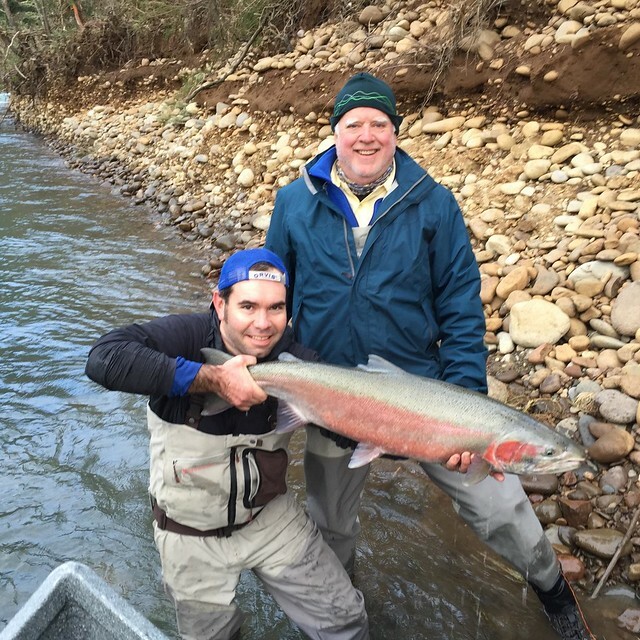 It seems rivers draining Oregon’s coast range mountains are seeing a great return of steelhead this winter, that is certainly true of the rivers on the central coast that I have been fishing over the last several weeks. With a major winter storm coming ashore as I write, it is likely the rivers will blow out for a few days, but it is probable things will start to fish well again by the middle of next week. 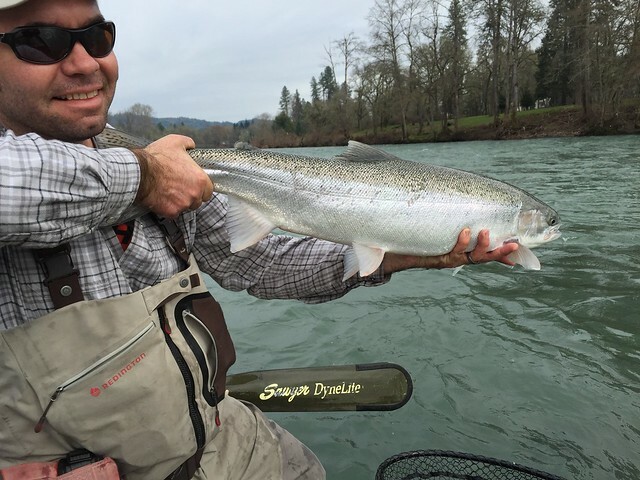 River conditions can be fickle this time of year, but when you hit it right, the fishing can be stellar. I have seen good success recently both nymphing and swinging flies. We have had relatively warm water temperatures so far this winter, which I think has improved the bite, particularly with respect to the swung fly. 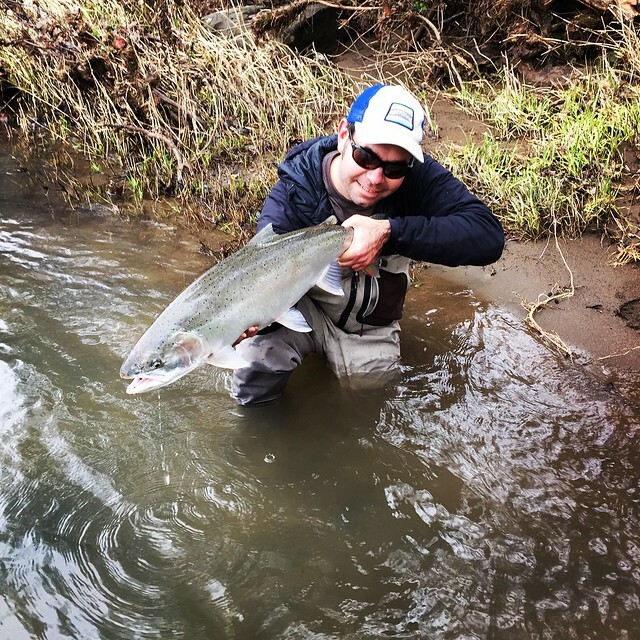 Because steelhead are a cold-blooded creature, their activity level is directly influenced by the water temperature; when the water is warmer, they tend to be more frisky, and more willing to chase a fly. That being said, if catching fish is your goal, it is hard to beat the effectiveness of nymphing egg patterns. I still have a number of days open for this month and next. 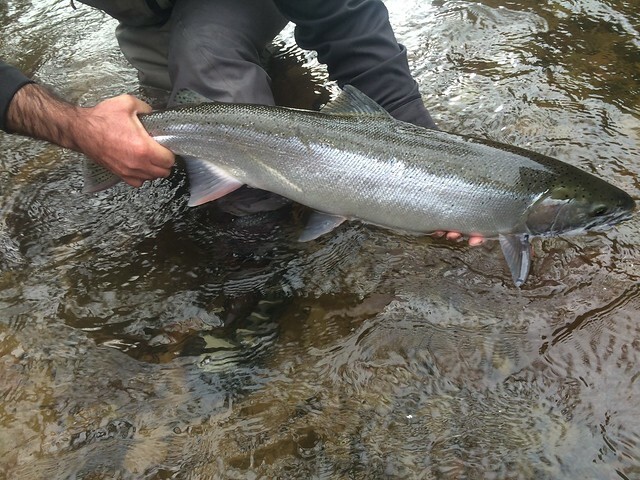 With two months left to play, we still have a lot of winter steelhead fishing to look forward to. Please contact me if you are interested in securing a date to chase these magnificent fish!